Home › Current News › Another Shameless Plug For A Silver Laughter Nomination! Another Shameless Plug For A Silver Laughter Nomination! 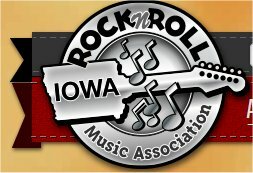 As I have said before, the deadline to nominate Silver Laughter is September 15 for the 2014 inductees into the Iowa Rock and Roll Hall of Fame! Please take a moment if you haven’t done so already and give us a plug!